The evening before I went to Autosport International, at the NEC in Birmingham, I’d been watching a video, posted on Bill Caswell’s Facebook page about Ari Vatanen’s Paris-Dakar Peugeot 405 being stolen from parc ferme, a randsom being demanded, the car eventually found but Vatanen still being disqualified from the rally. This wasn’t a story I’d heard before, but I wasn’t expecting to see the subject of the story the next day. 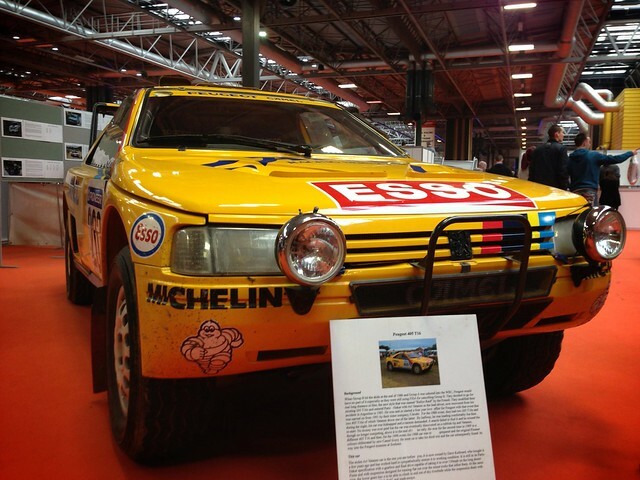 At first I thought it was just another Paris-Dakar 405, but upon reading the plaque I realised that it was the exact same car, what a nice coincidence! The rest of the show was good, especially seeing a Lamborghini Miura and a Toyota AE86 in the metal, two of my favourite cars, which somehow I’d never seen in real life. This entry was posted in Cars and tagged iPhone, Photo by Lewis. Bookmark the permalink.